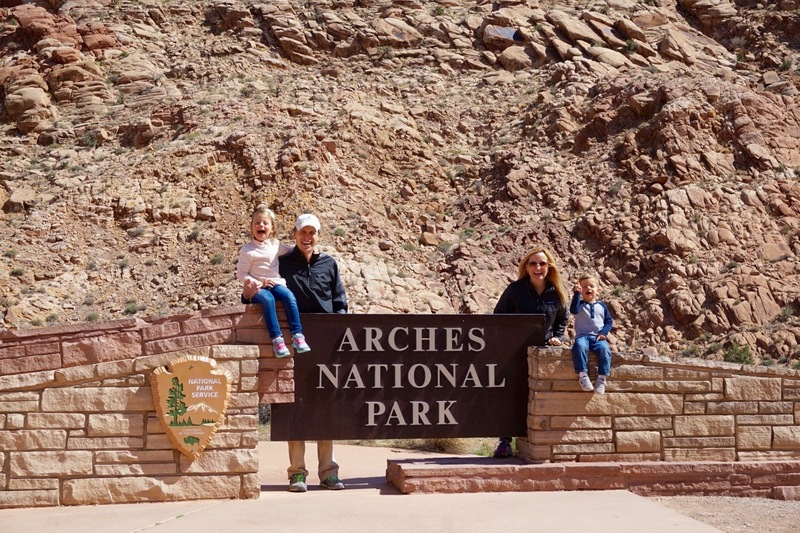 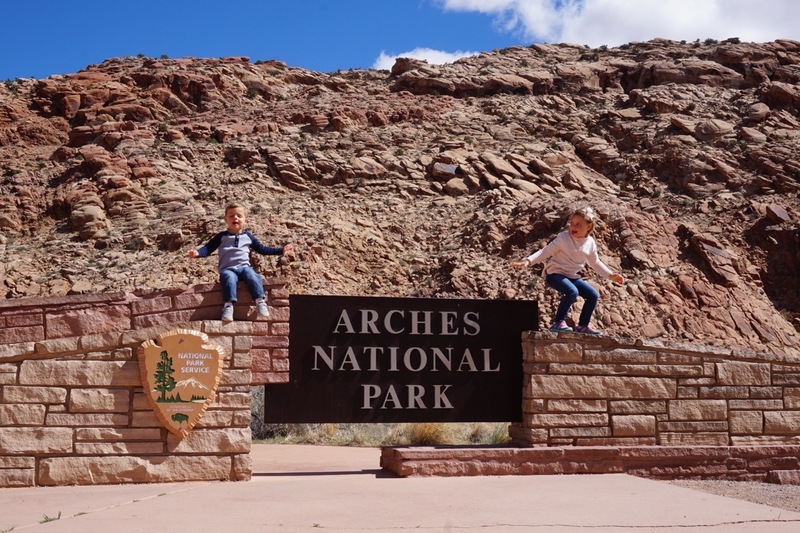 Arches was a particularly special park for two reasons, 1) its unique beauty, unlike anything we’ve ever seen and 2) “Papa” (Matt’s dad) met up with us for a visit while he was near the area. 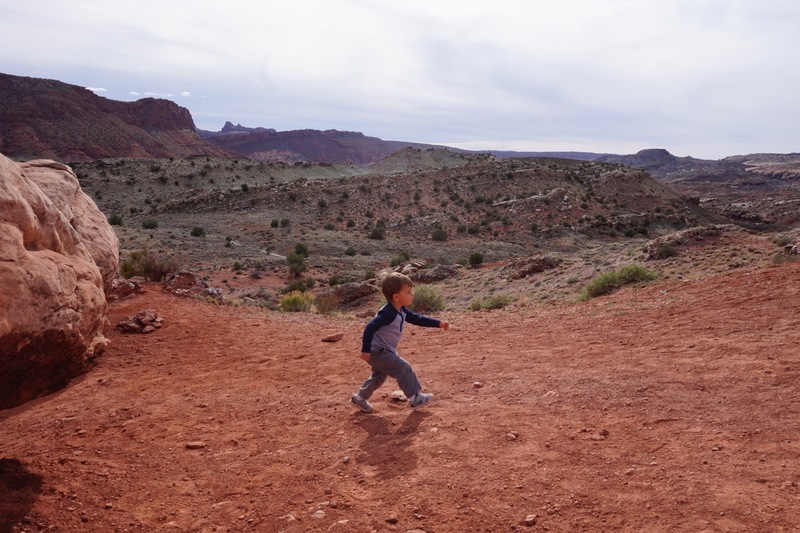 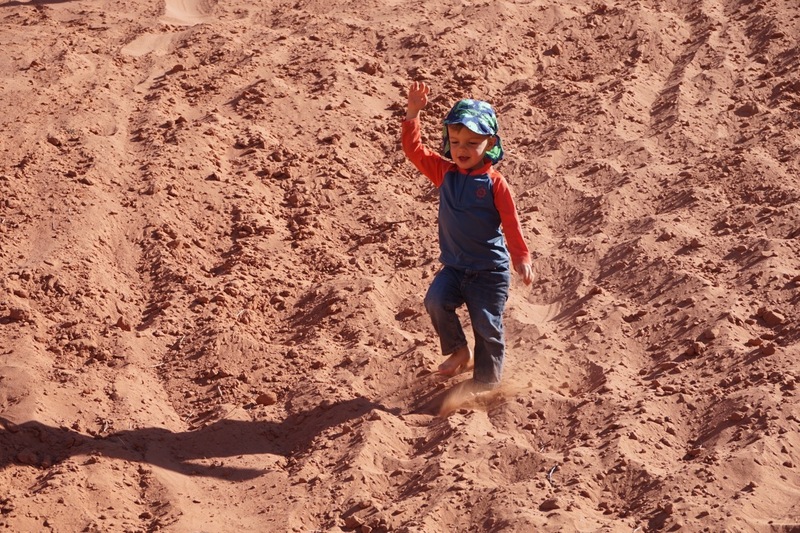 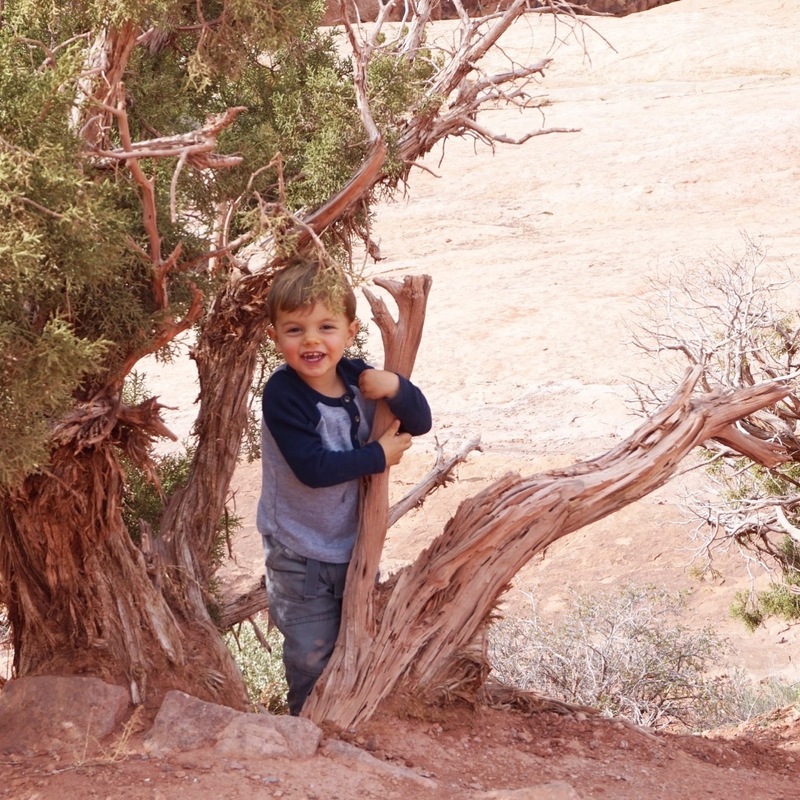 So, the few days he spent with us made our hikes, explorations and evenings all the more exciting. 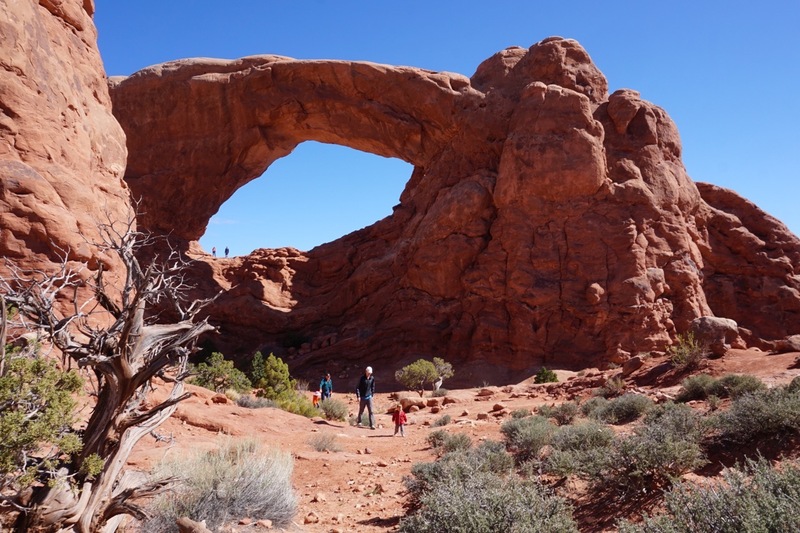 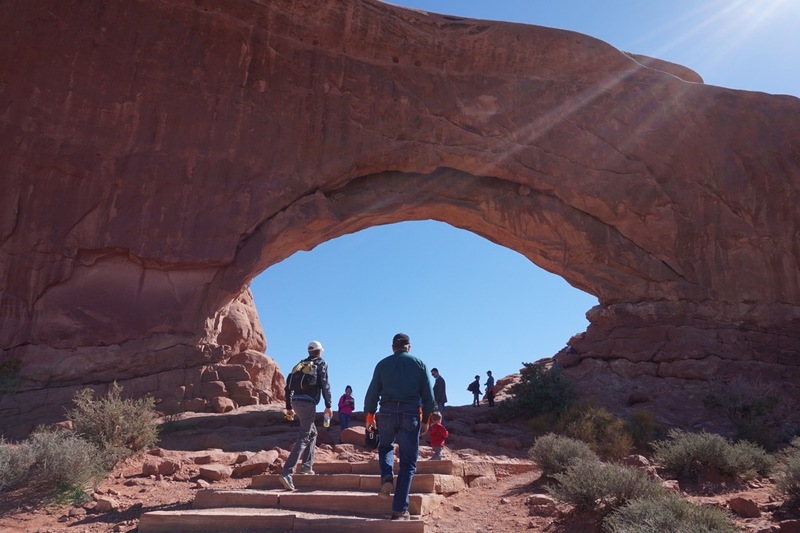 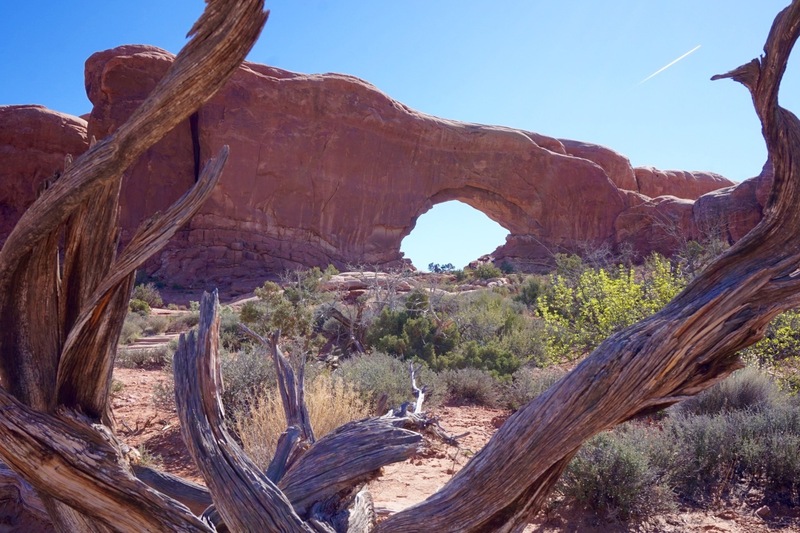 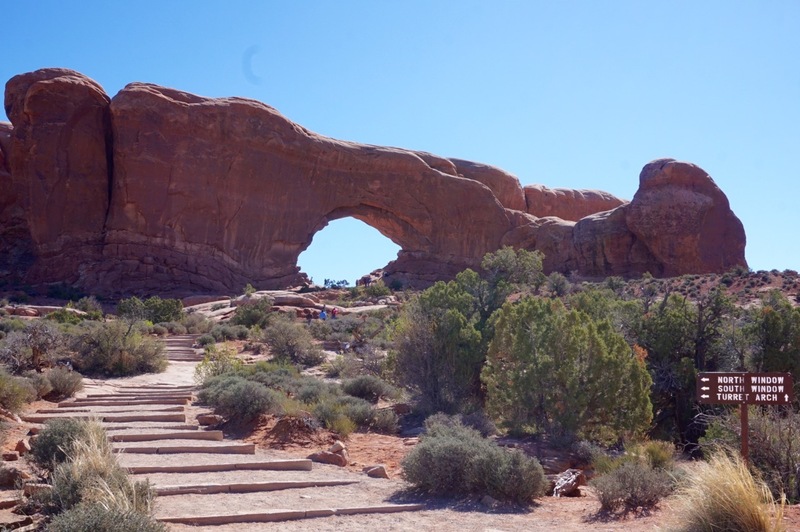 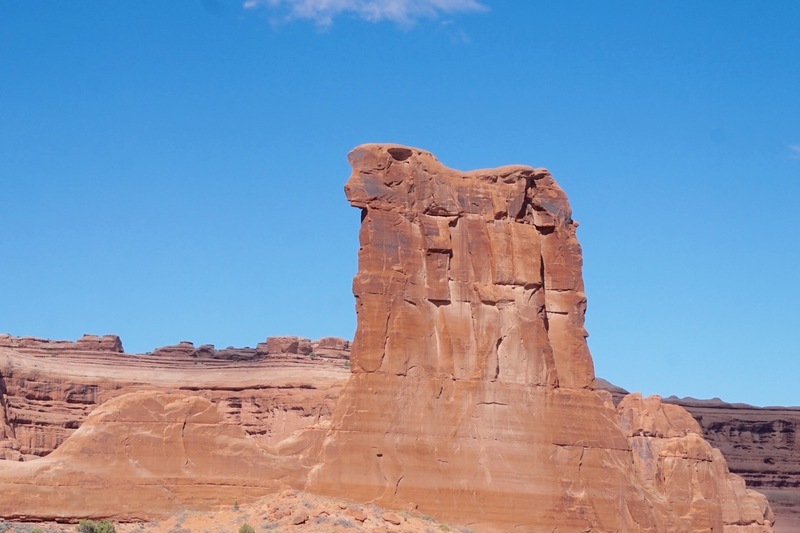 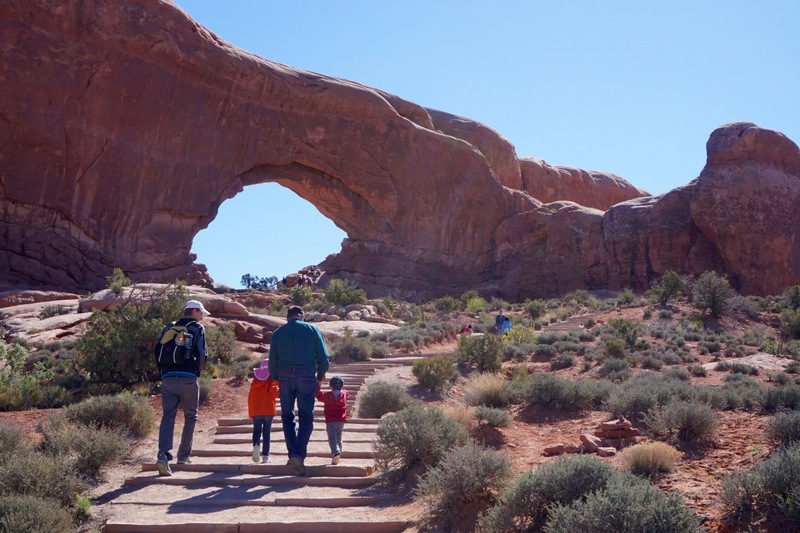 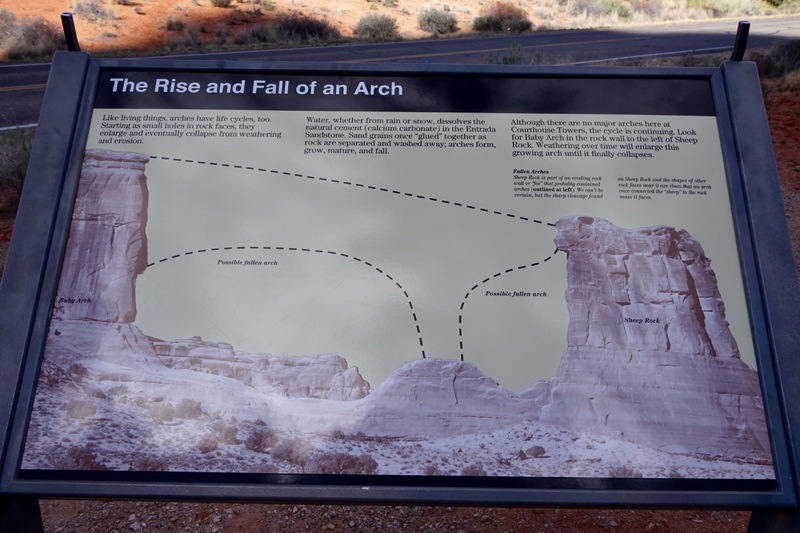 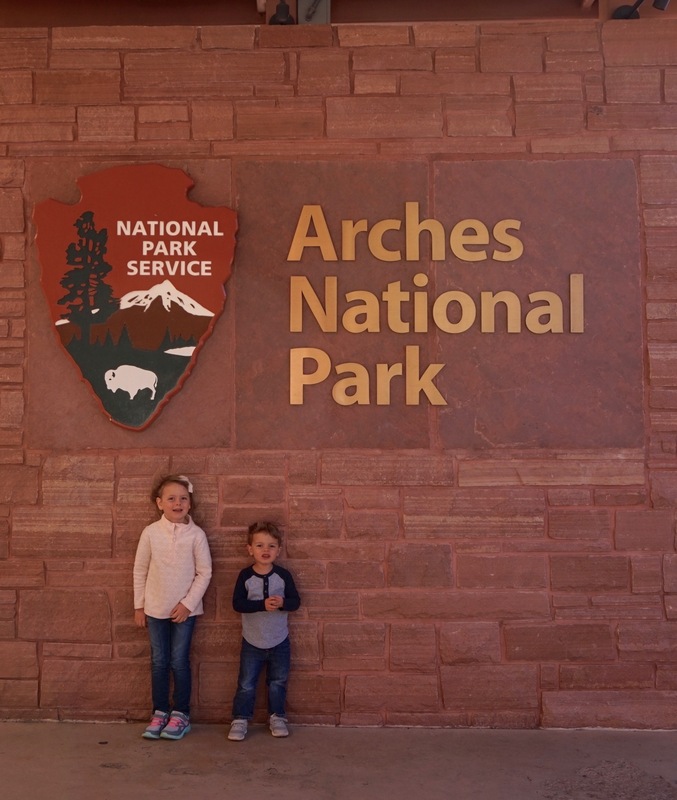 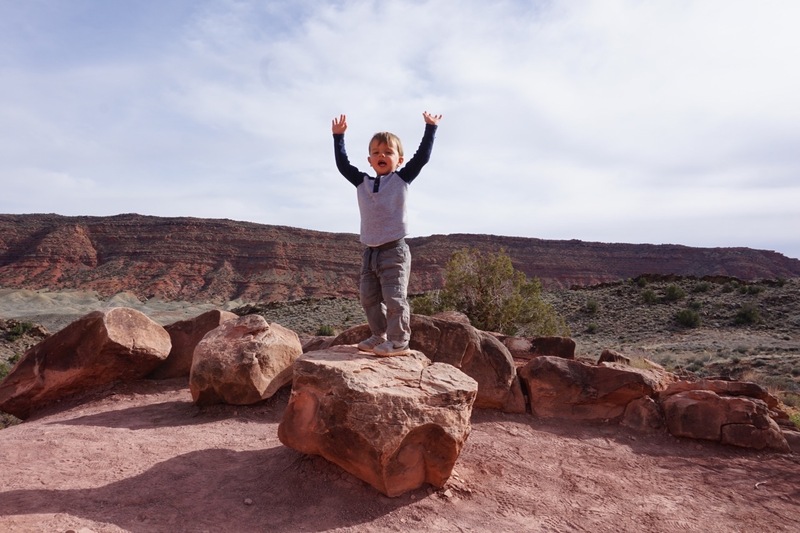 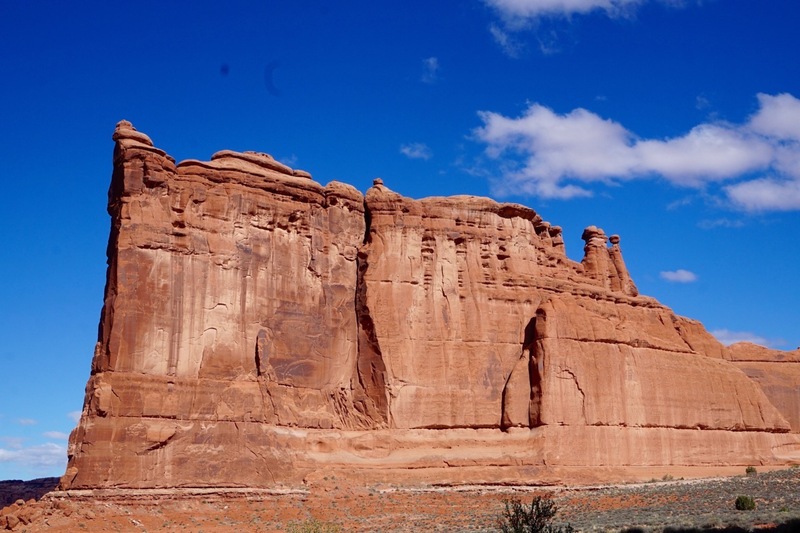 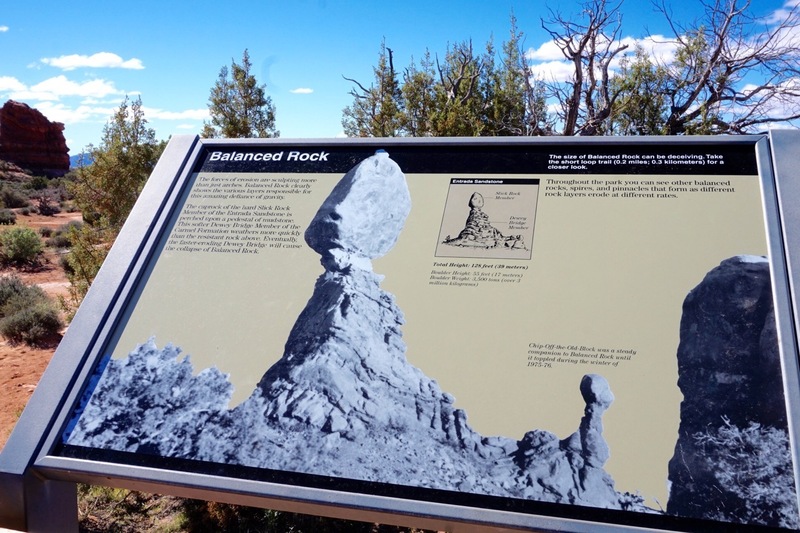 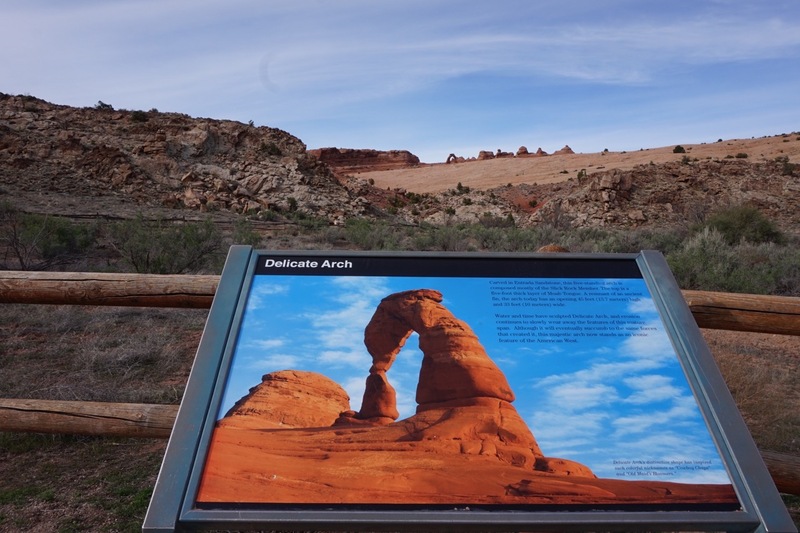 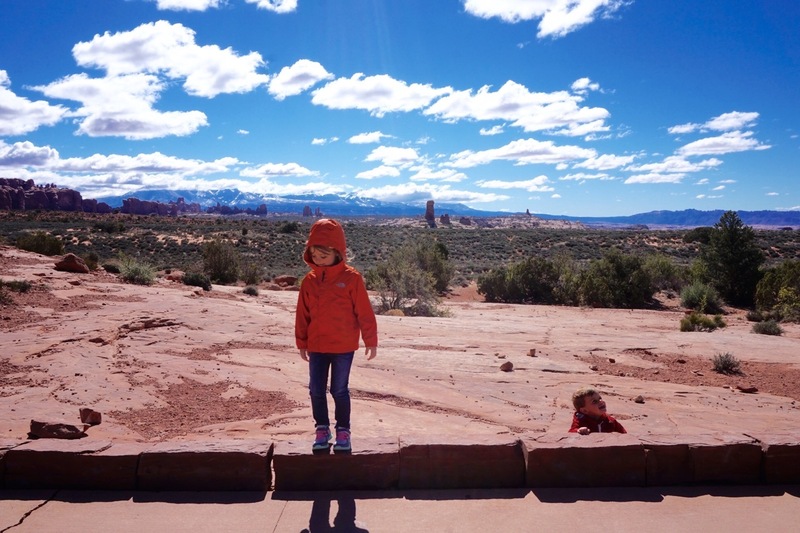 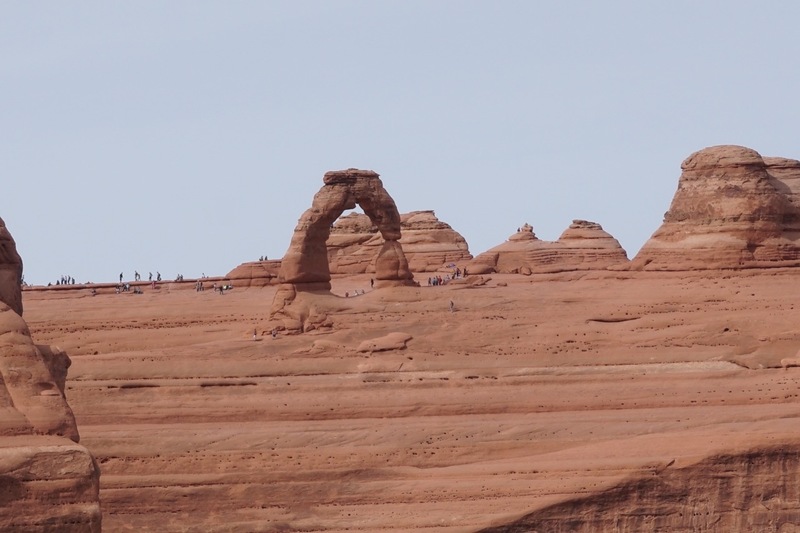 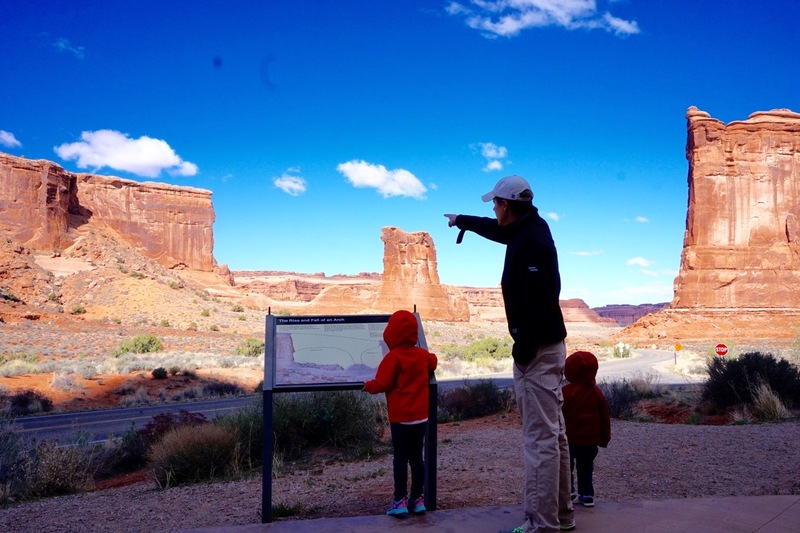 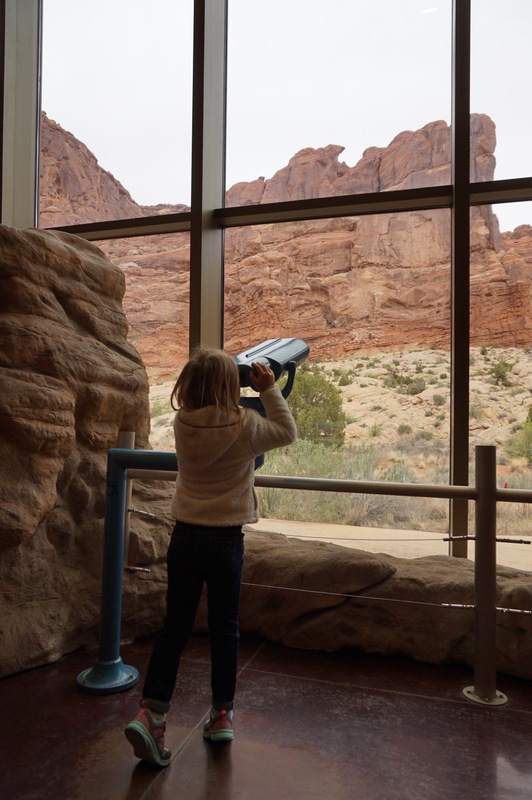 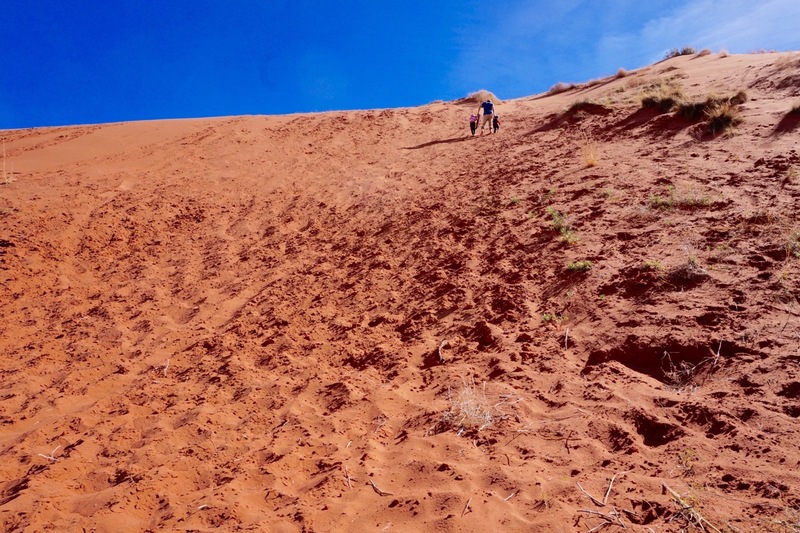 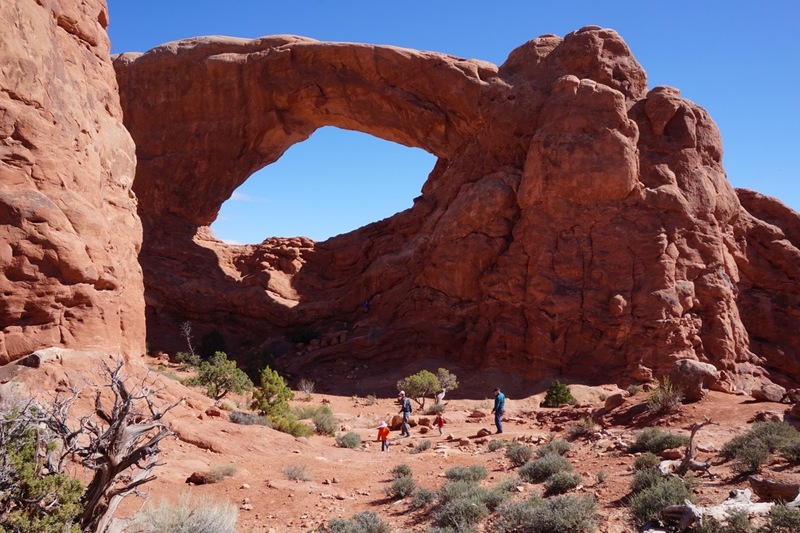 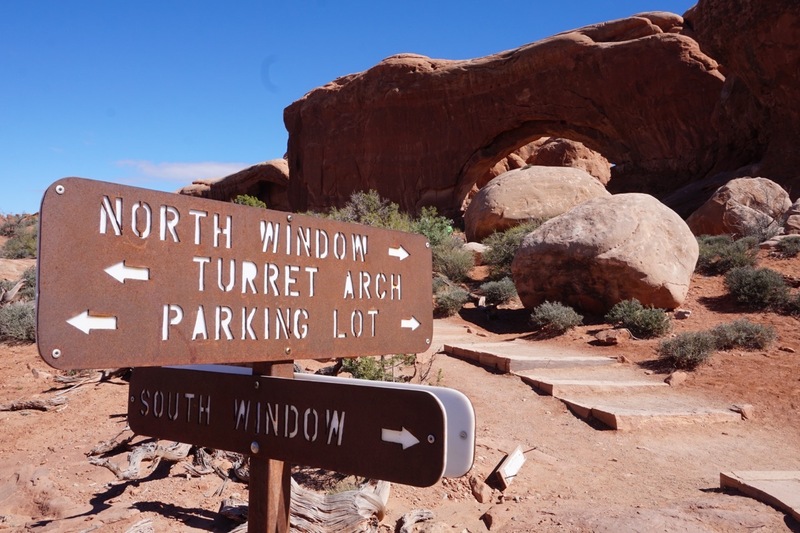 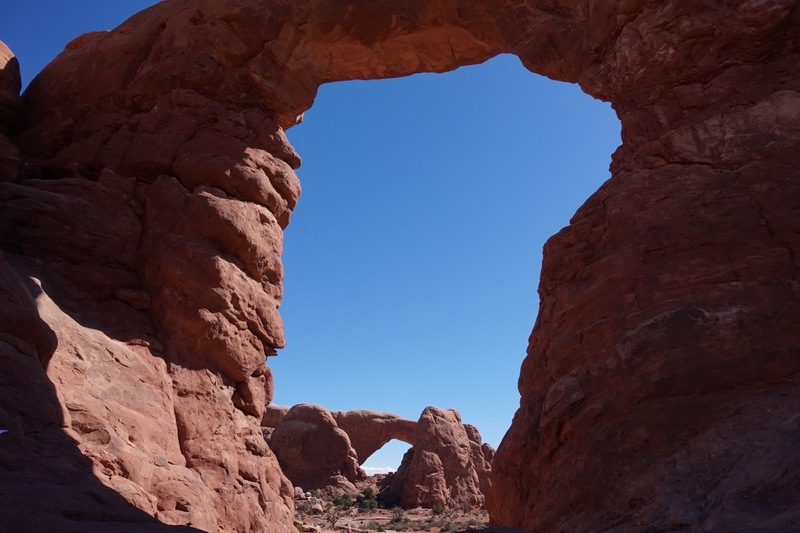 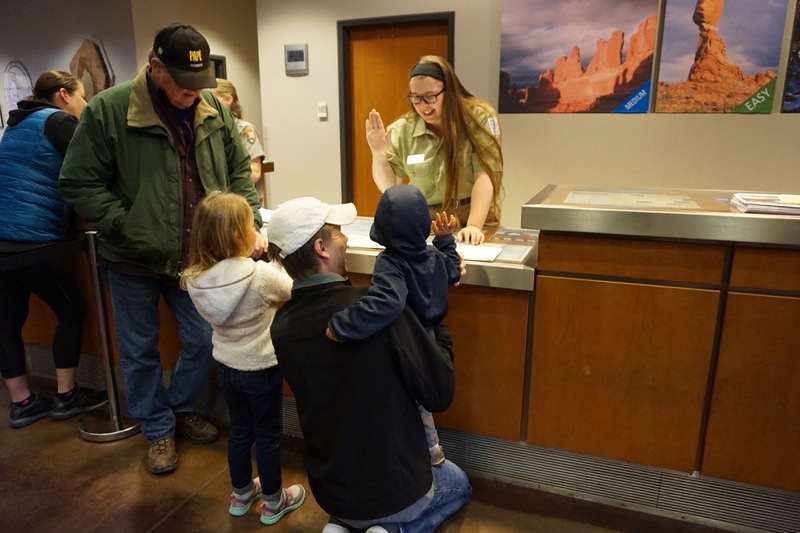 “Graceful arches, balanced rocks, deep canyons, sheer cliffs, and sculpted dunes.” That’s how a sign in the visitor’s center describes this national park and it’s spot on. 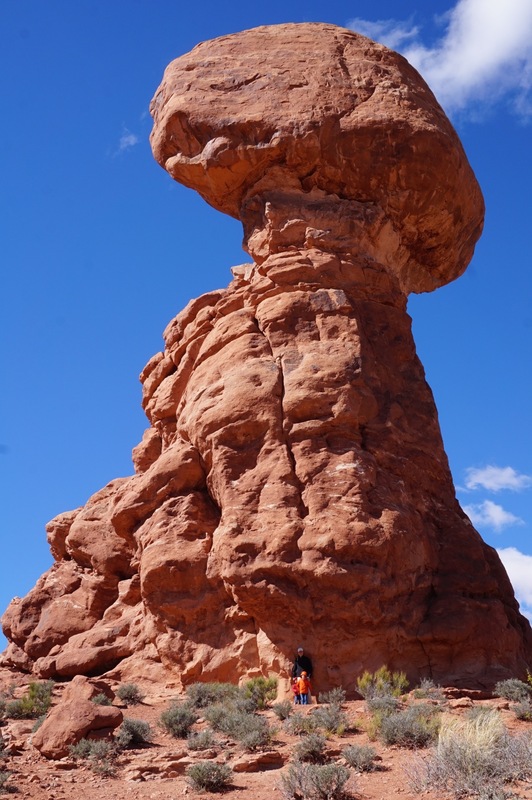 However, what those words lack is a sense of the scale of these formations. 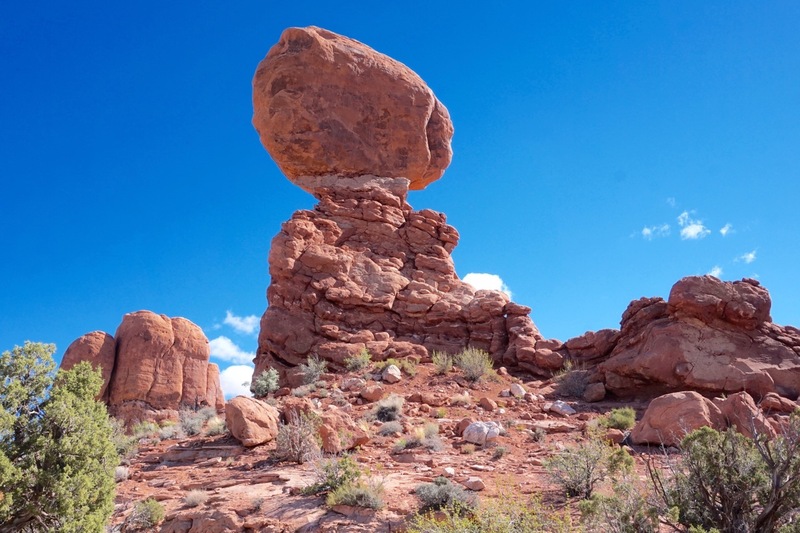 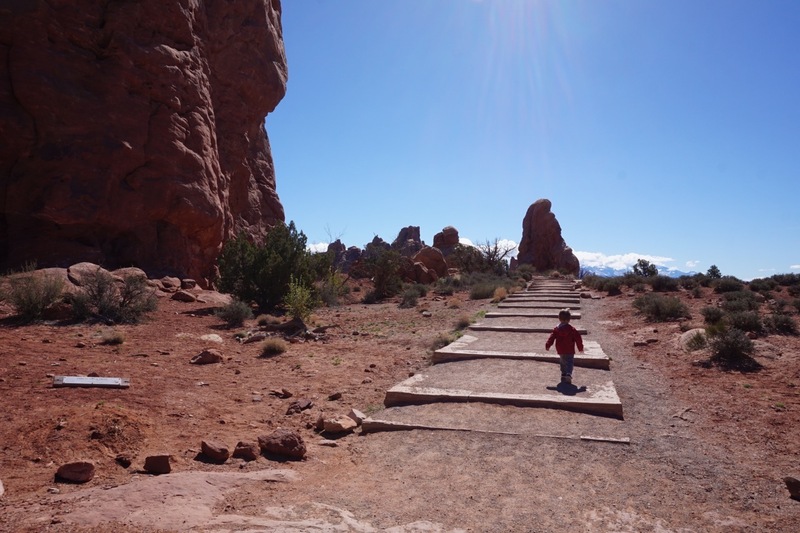 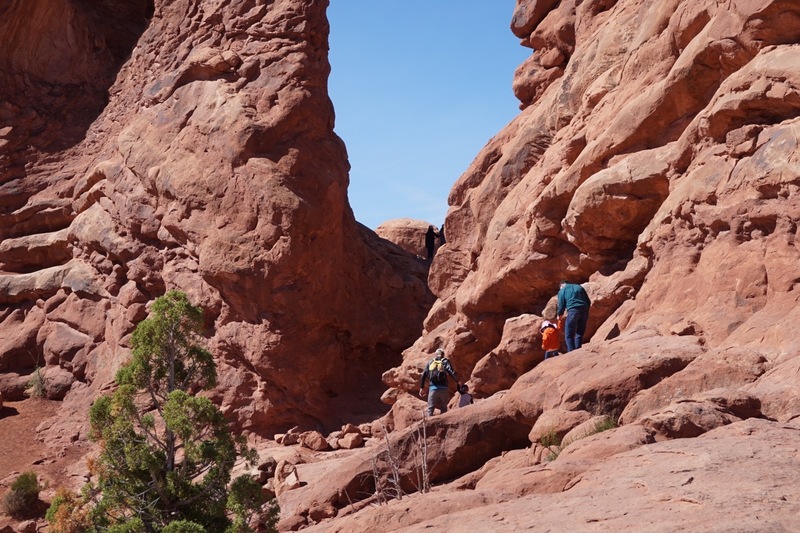 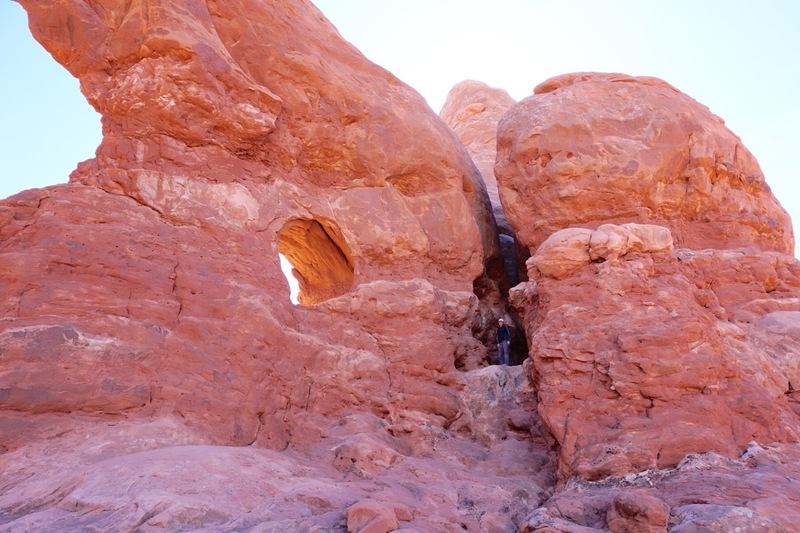 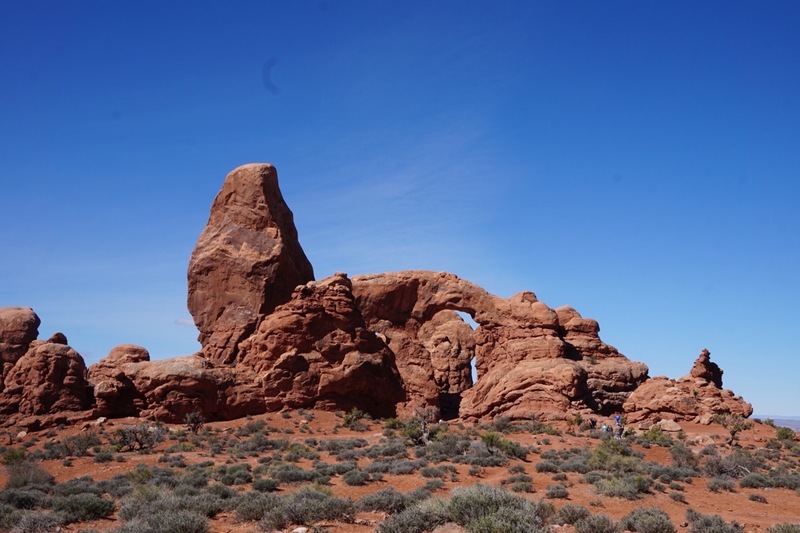 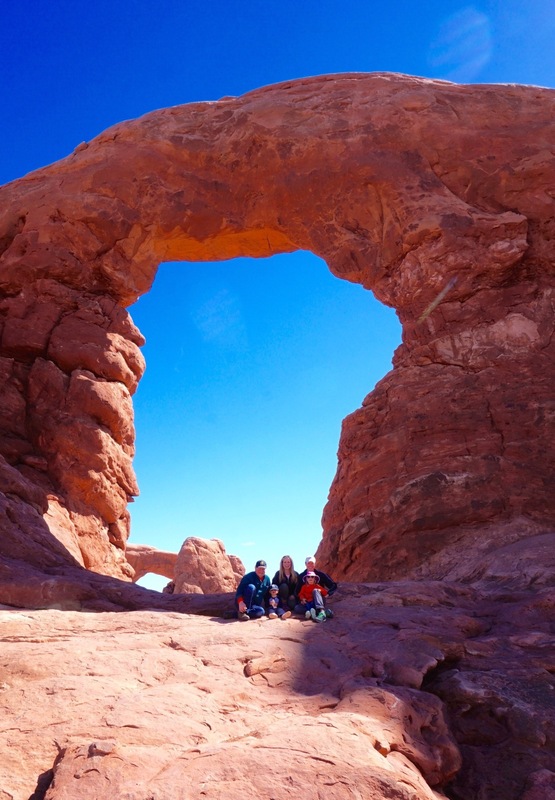 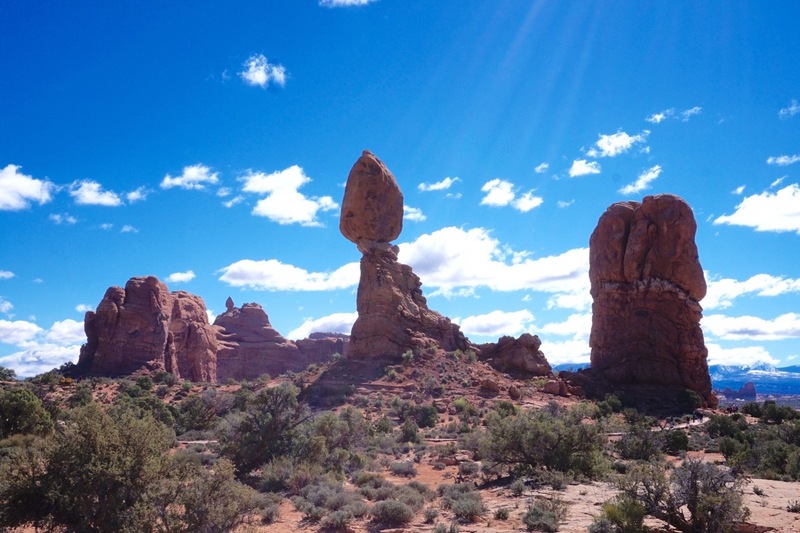 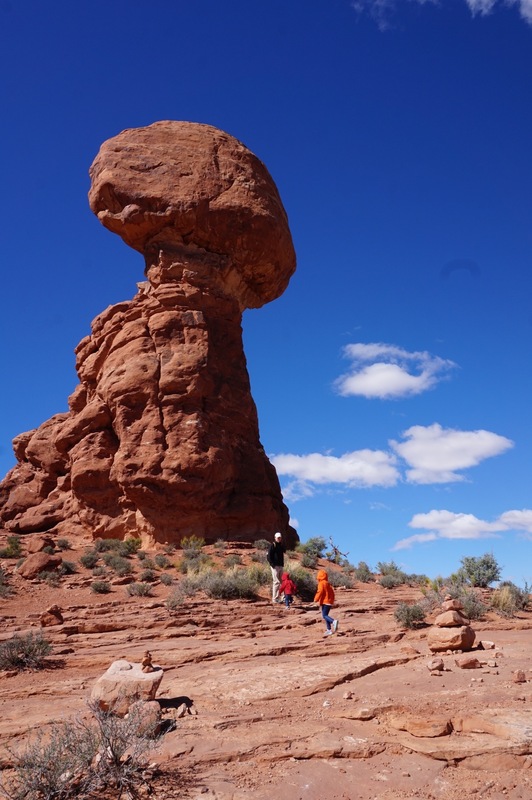 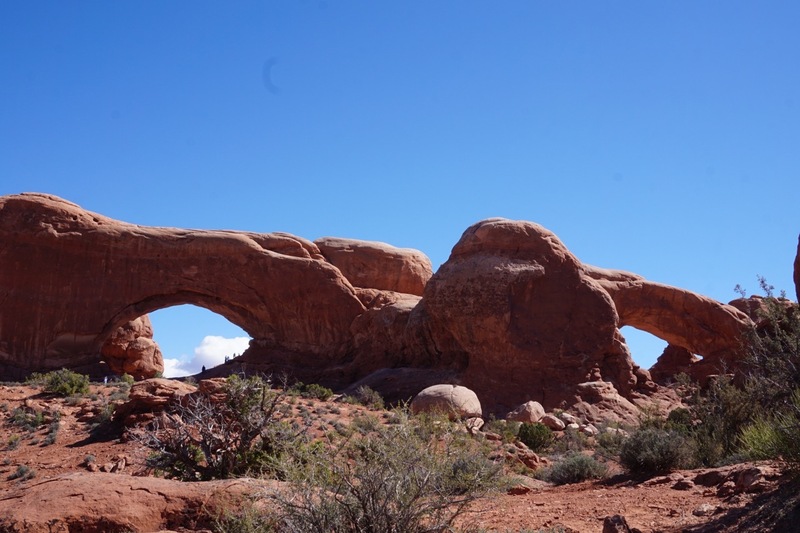 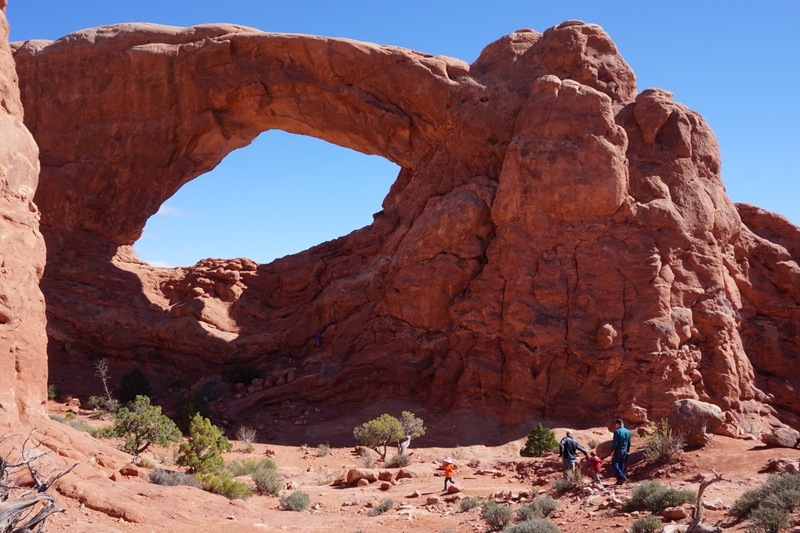 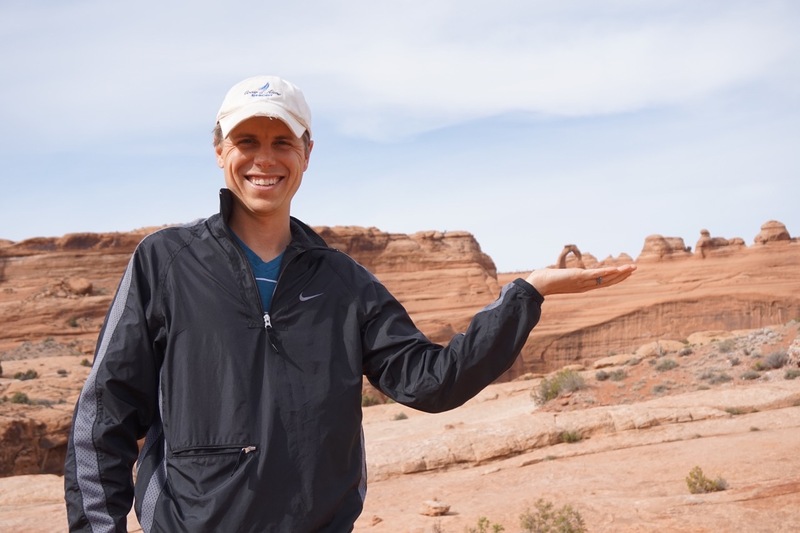 The arches are simply MASSIVE, the boulders are bigger than our RV and balanced on skinny spires! 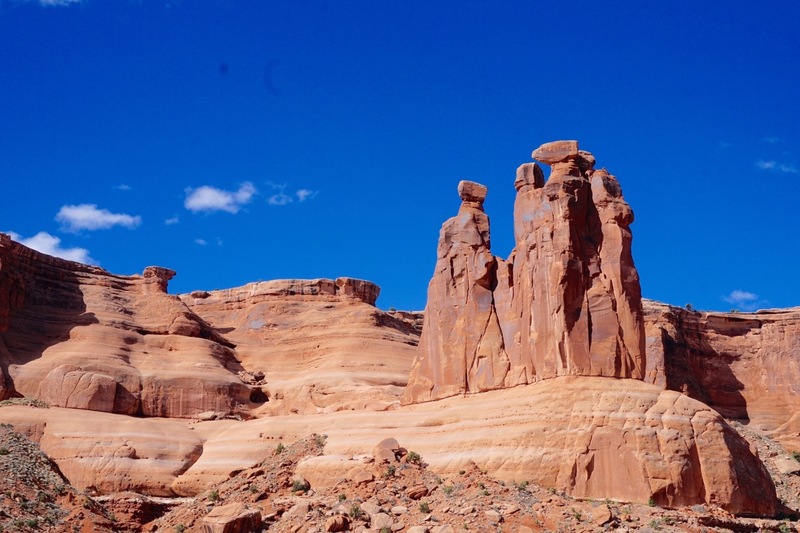 The tall rock structures reach toward the sky as if to scrape the bottoms the clouds. 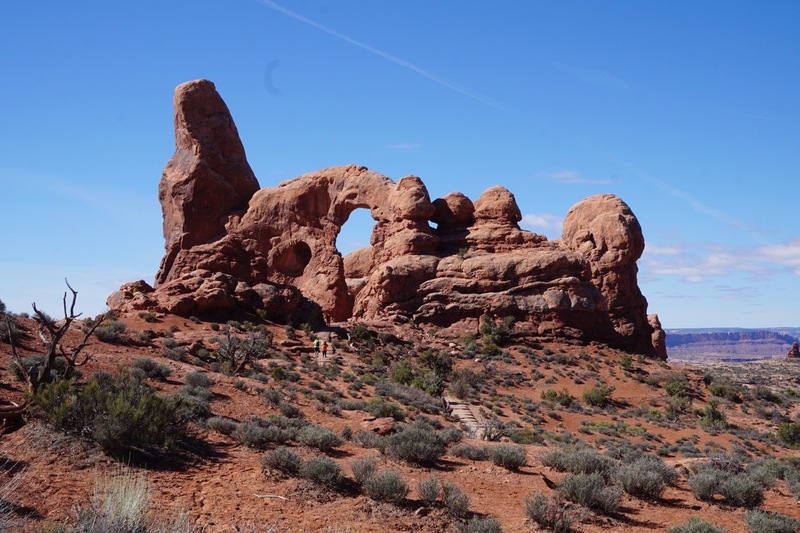 And the shapes in the rocks (like Sheep’s Head) are so clear it’s as if Michelangelo sculpted them. 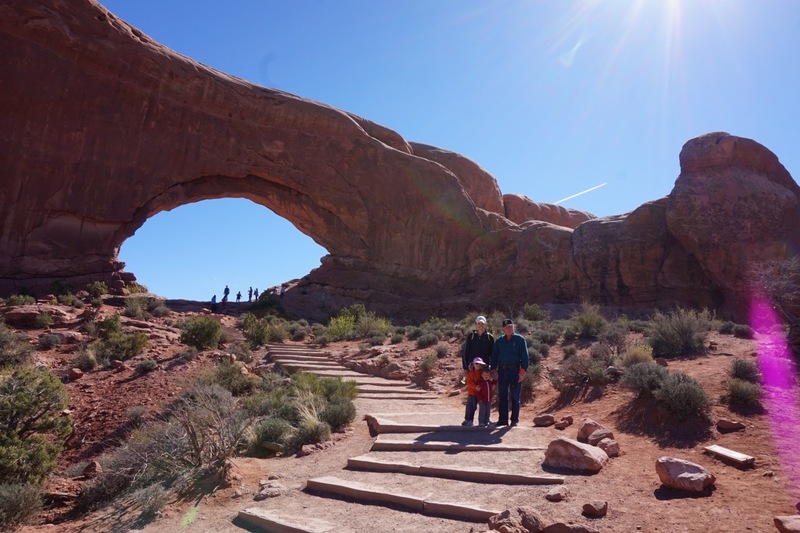 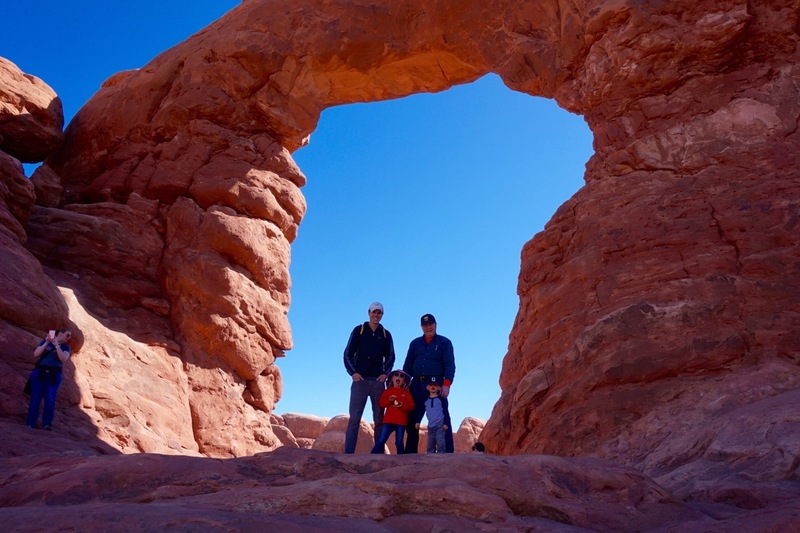 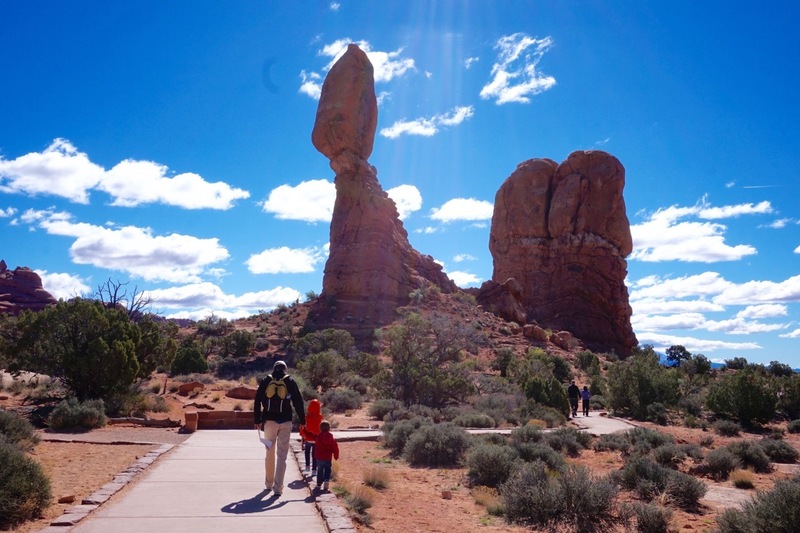 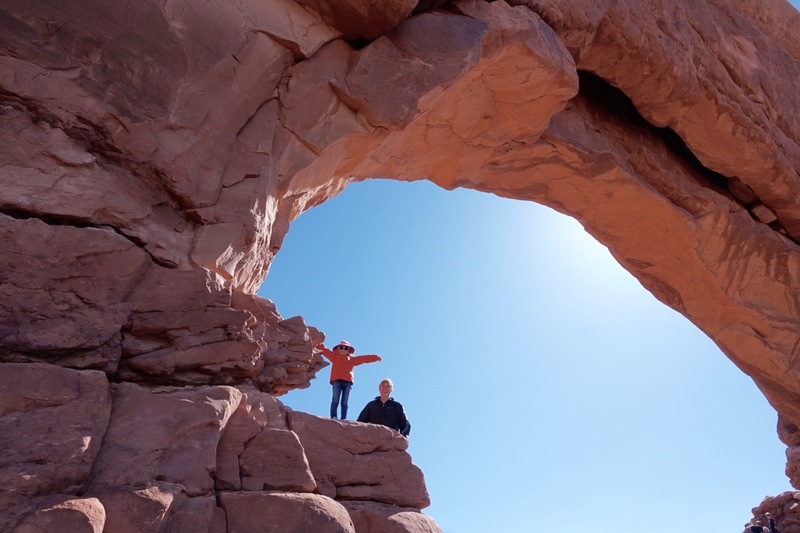 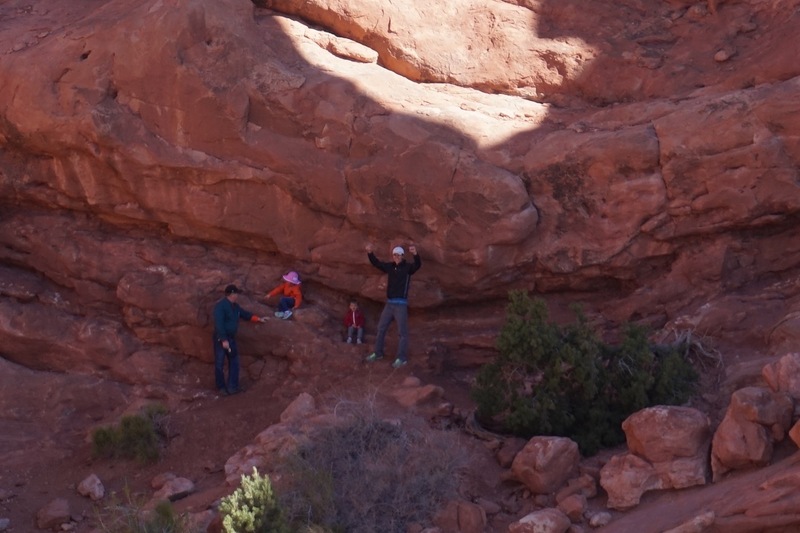 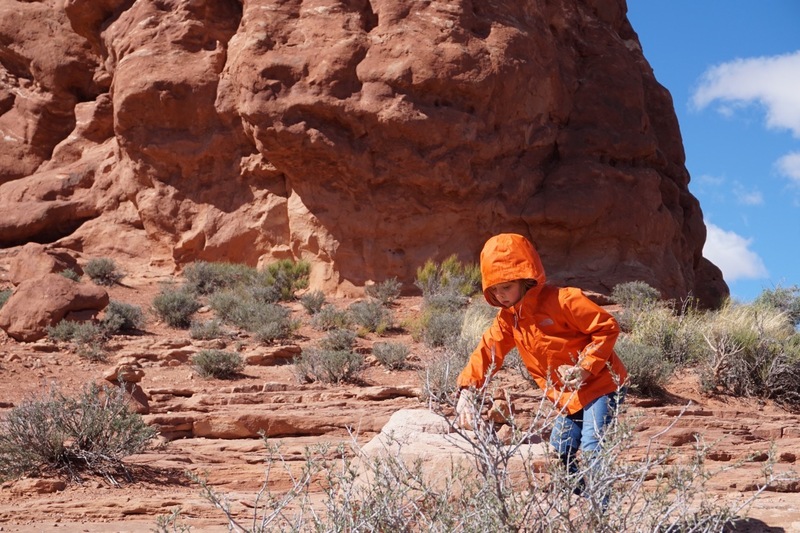 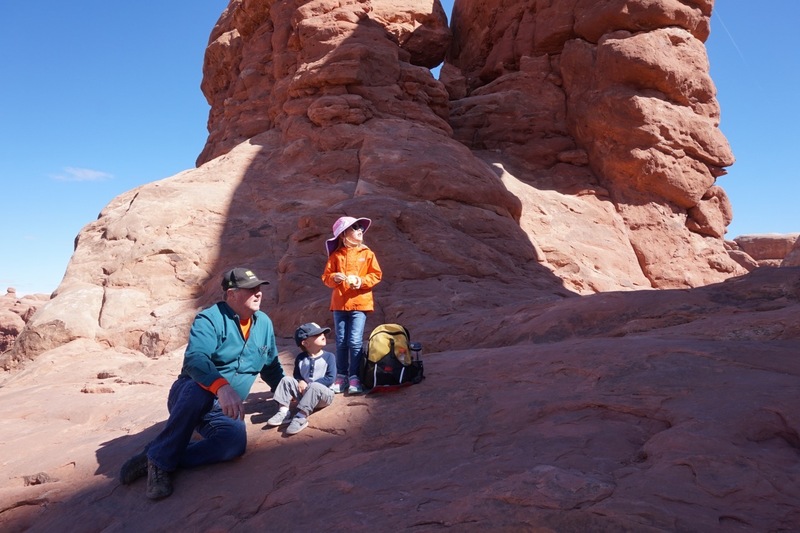 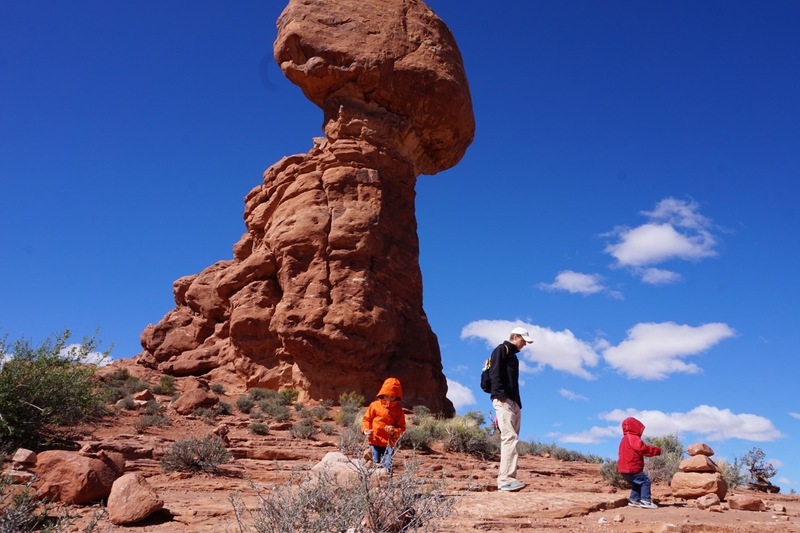 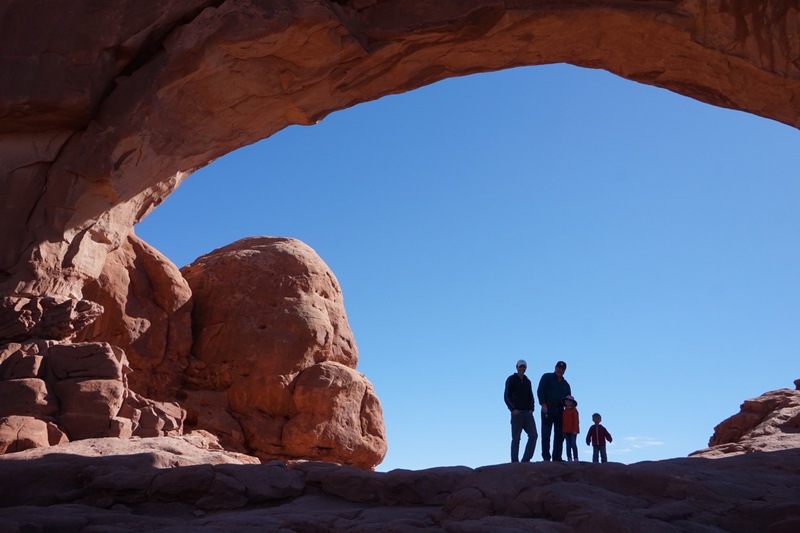 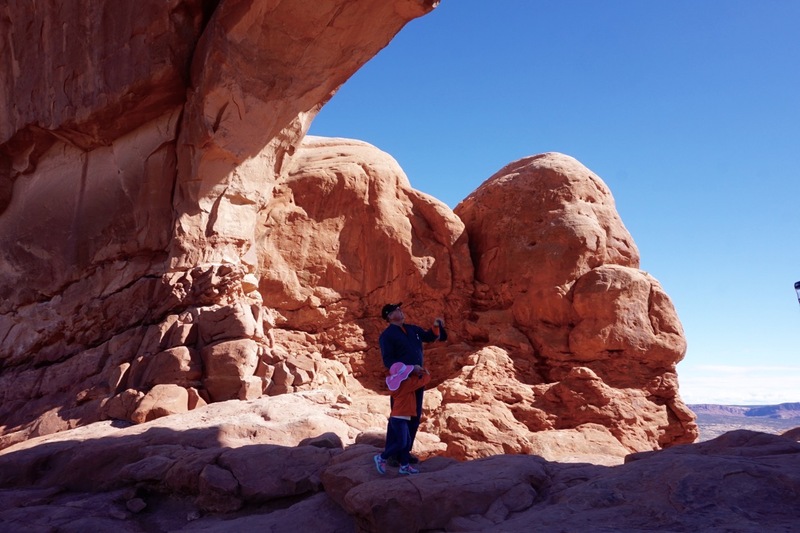 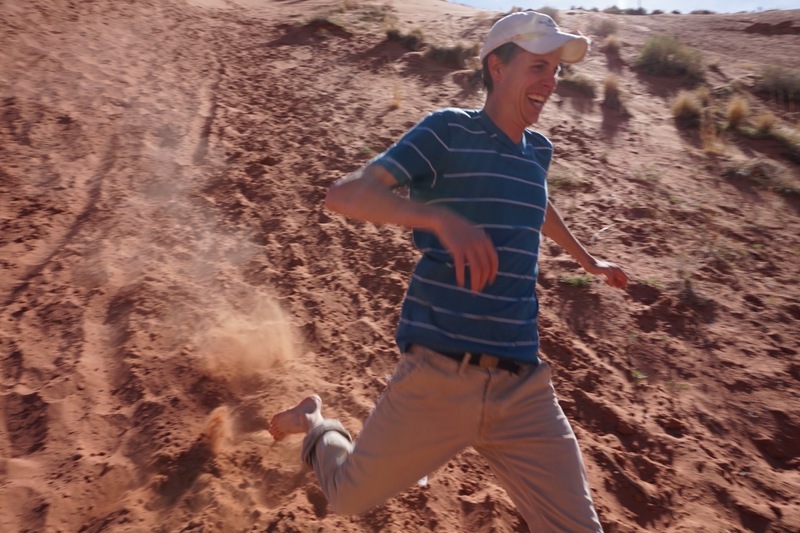 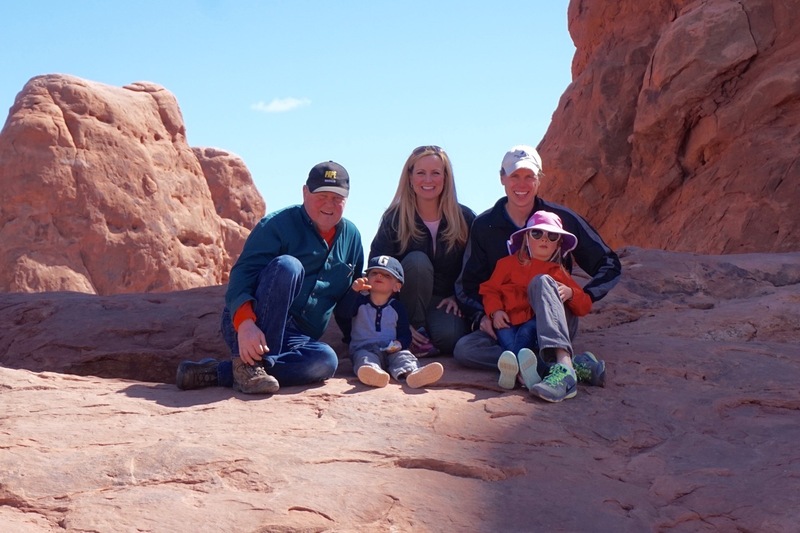 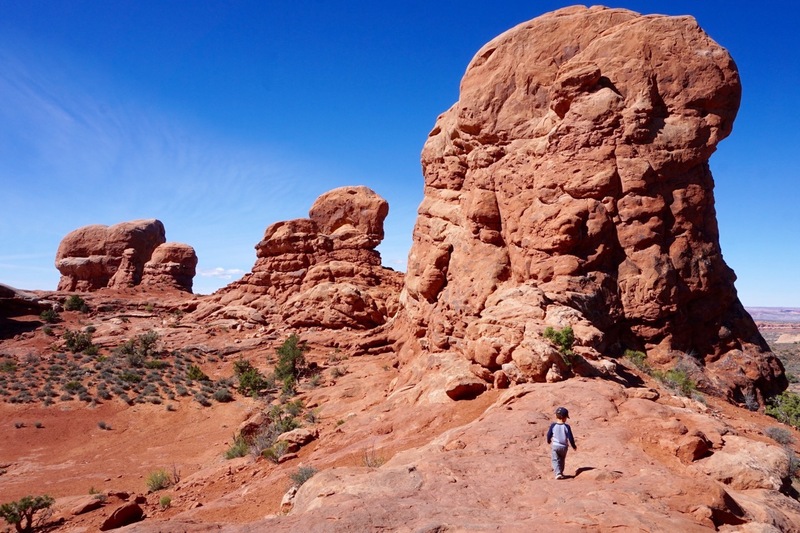 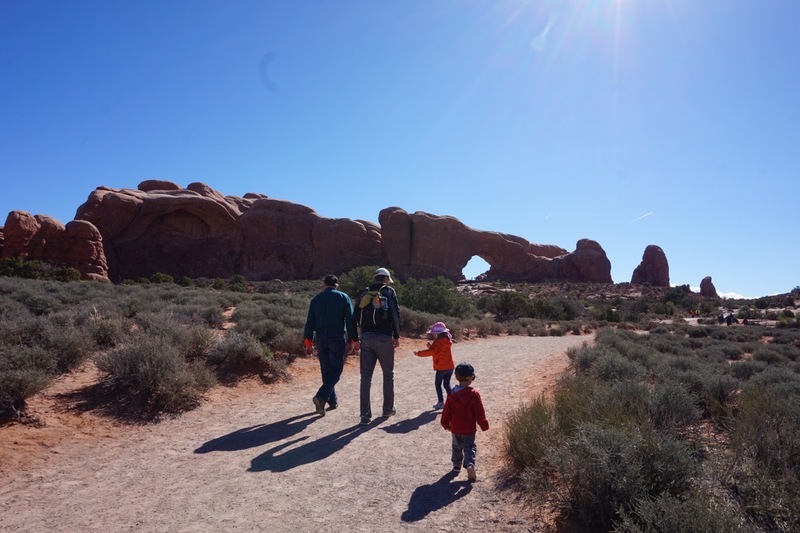 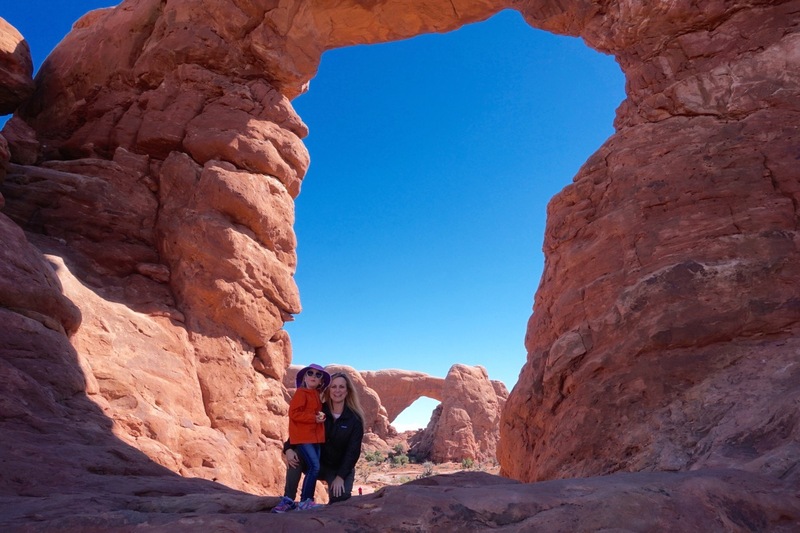 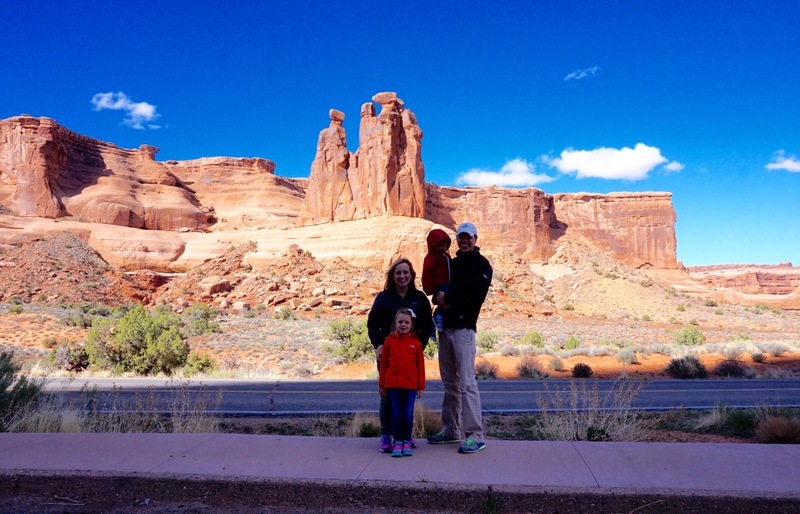 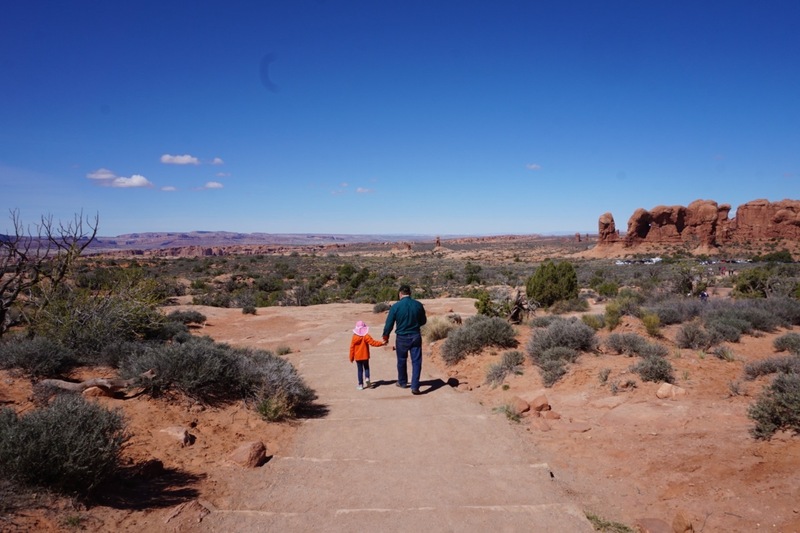 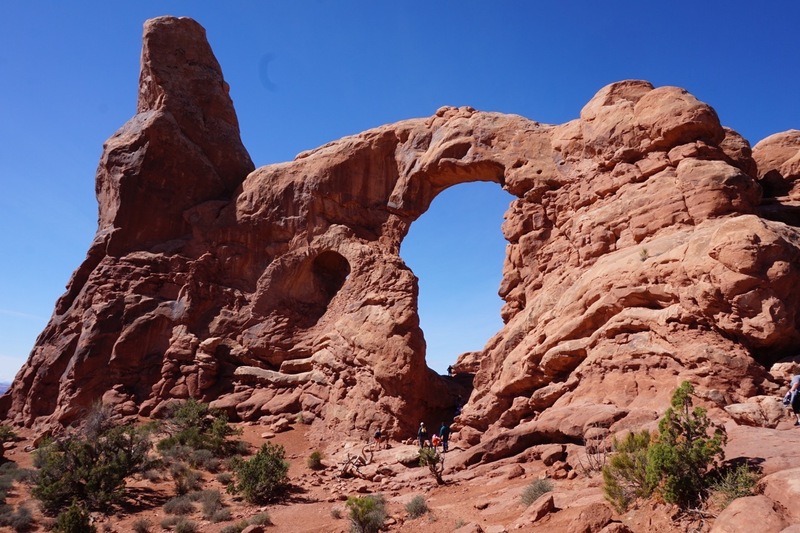 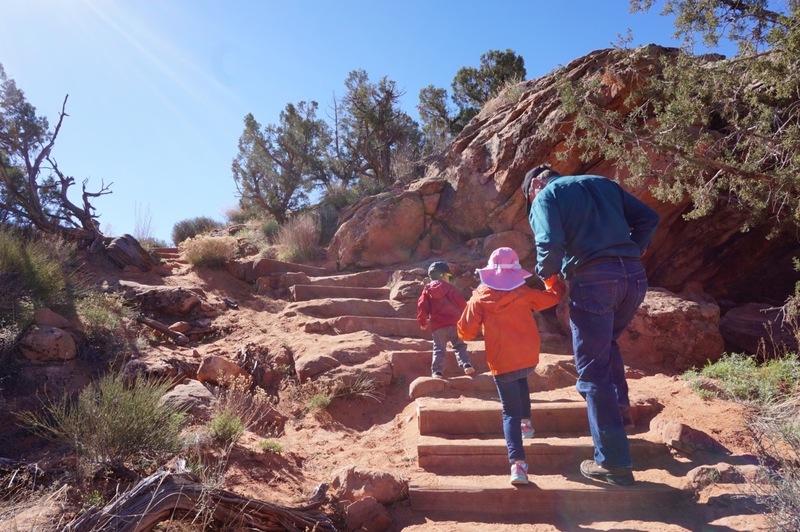 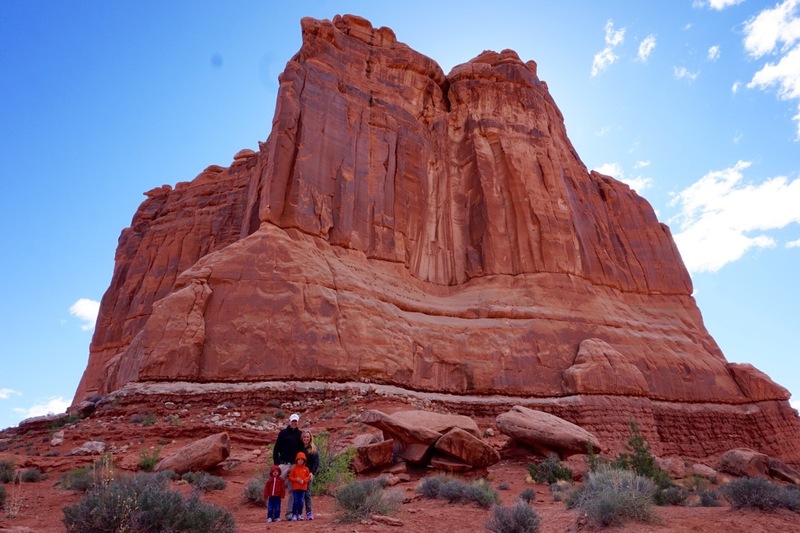 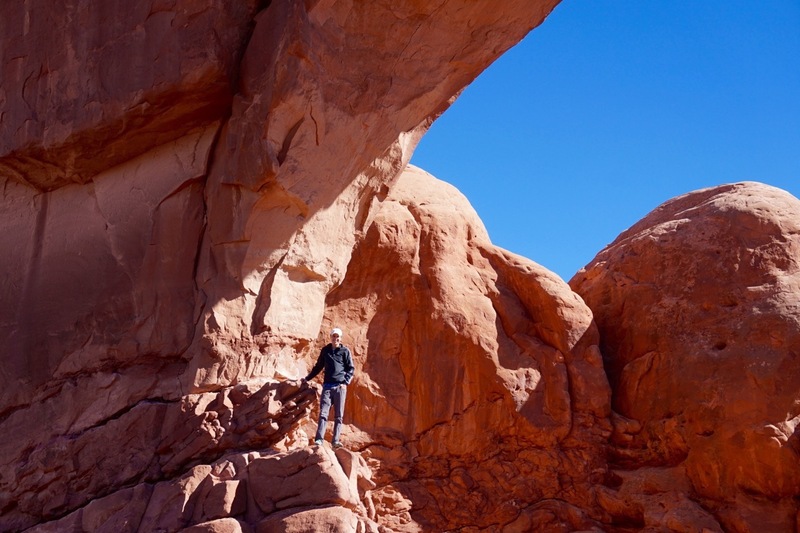 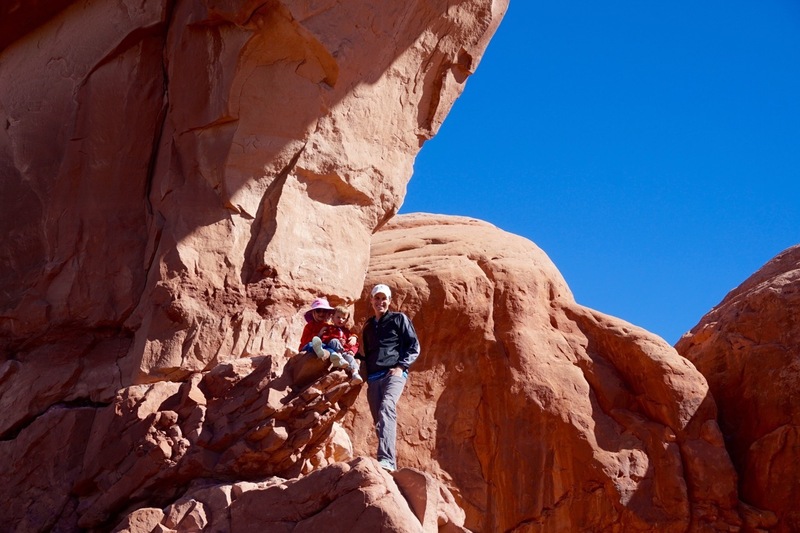 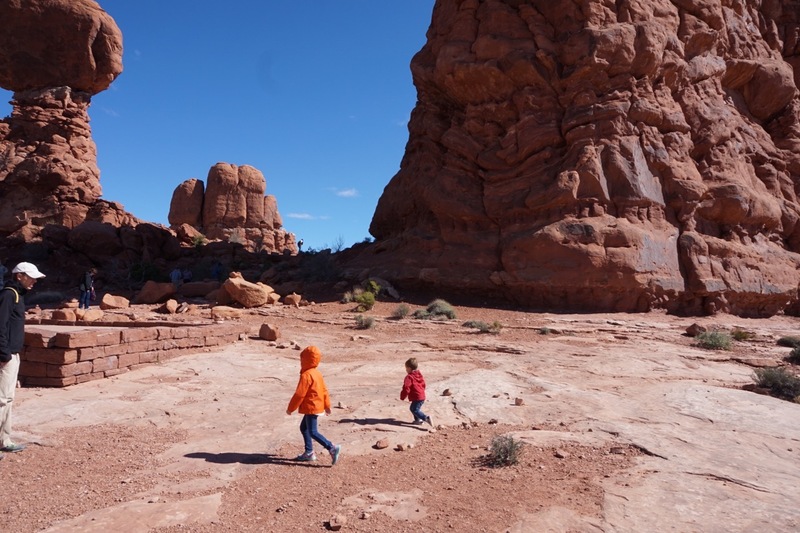 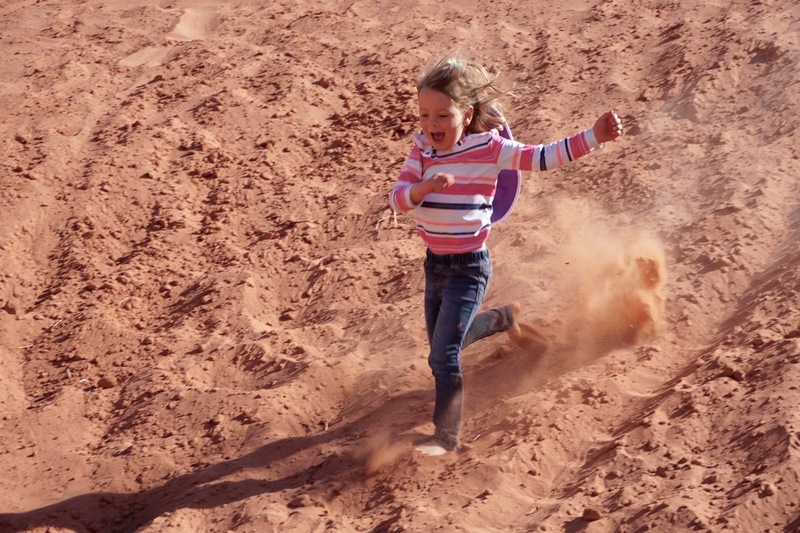 In addition to Arches, Moab itself is such a cool town with an Austin (15 years ago) vibe and a palpable sense for the love of the outdoors in every restaurant, retailer and rental shop. 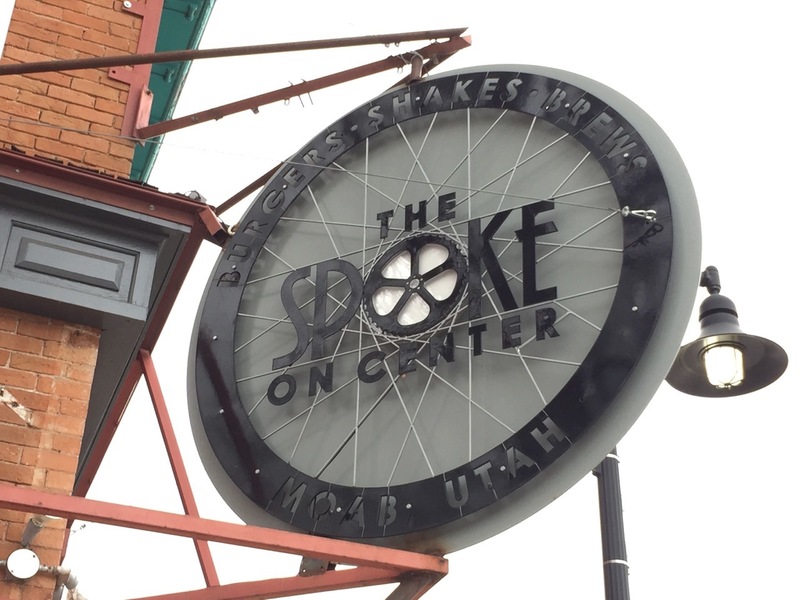 It’s a “we’ll be back” kind of place.